... was inspired by this insert in our church bulletin. The inspiration is not always so obvious, but a surprising number of craft ideas pop into my head each week at church. 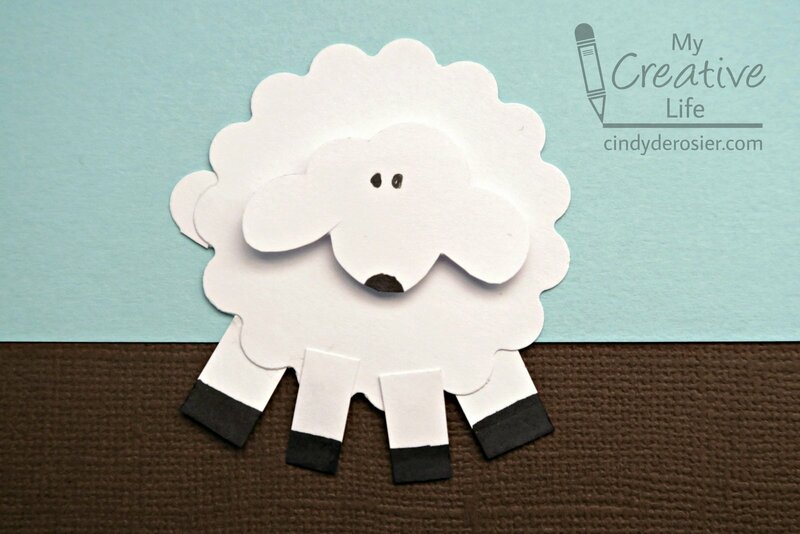 To make the sheep, you need: white cardstock, a scalloped circle punch, a cloud punch, scissors, a black pen, pop dots and glue. 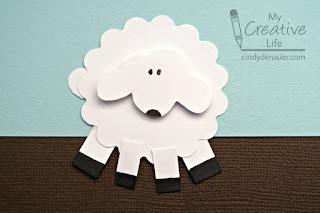 Punch the circle and the cloud from the cardstock, then cut 4 rectangles for legs. Use the scissors to snip arcs from the bottom of the cloud to make it a bit more sheep-faced, then draw two eyes and a nose with the pen. Color the bottom of each rectangle to make hooves. Glue two hooves behind the circle and two hooves in front of the circle like in the photo. Use a pop dot to glue the head in the center of the body. I used the same technique, but different punches and pink cardstock instead of white) to make a pig. Here's Sheep, with his new friend, Pig. I attached them to cardstock, but you could also add magnets to the back of each animal and put them on the fridge. 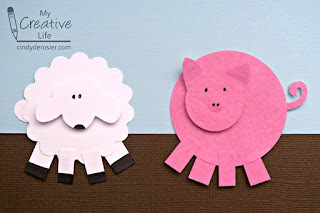 You can make Sheep and Pig (and a bunch of other animals) even if you don't have the same punches I do. They're just as cute if you cut the shapes freehand. OMG PIGGY!!!!!!!! Love him... and that sheep is really cute too!